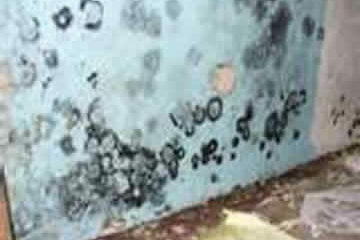 When dealing with mold containing dangerous myctoxins, it is important not only to remediate the mold-infested materials, but also to investigate and remediate the source of the water intrusion. We perform a site visit to determine the extent of the mold growth and develop a plan to remove and decontaminate the mold-infested area. We seal off the mold-contaminated area from all other sections of the building. All furniture and items are then decontaminated using biocides and HEPA vacuuming and removed from the area. 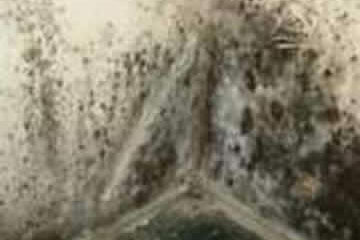 Under extreme mold infestations, some furniture and items may need to be disposed of, as they are unable to be cleaned. All mold-contaminated materials are removed and bagged for disposal. Once the area is decontaminated using biocides, we initiate a mold clearance using a third-party testing company. To prevent the re-occurrence of mold, prior to any re-building of removed materials, the source of the water intrusion will be identified and corrected. The area will then be re-built to its pre-mold-infested condition.